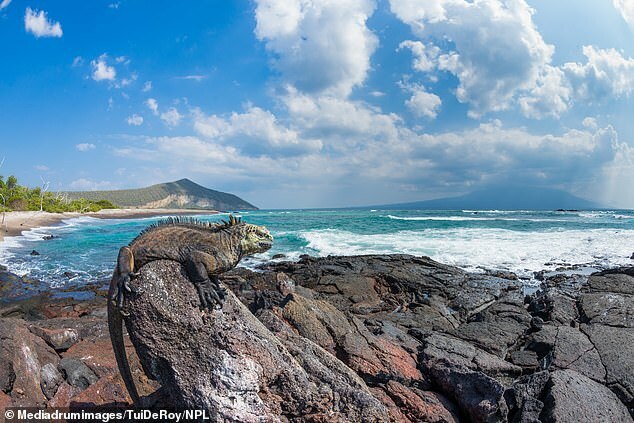 Scientists say climate change and severe El Nino events are destroying the famed ecosystem of the Galapagos islands - as a local photographer claims to have caught proof of the impact global warming is having on marine iguanas. 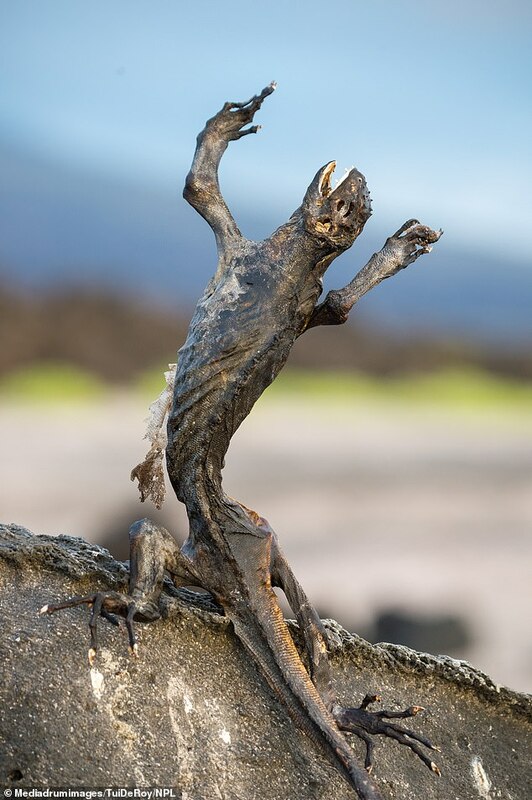 His images of rotting marine iguana carcasses paint a heartbreaking potrait of the struggle many animals face on the Islands. The islands were made famous when Charles Darwin visited the archipelago on his iconic voyage aboard the HMS Beagle, but climate change is affecting its unique ecosystem, scientists claim. The hotter water is killing its food source which lives in the waters off the coast of the island, and the reptiles are starving to death as a result. Photographer Tui De Roy, who grew up on the islands, captured the striking image to highlight their plight. 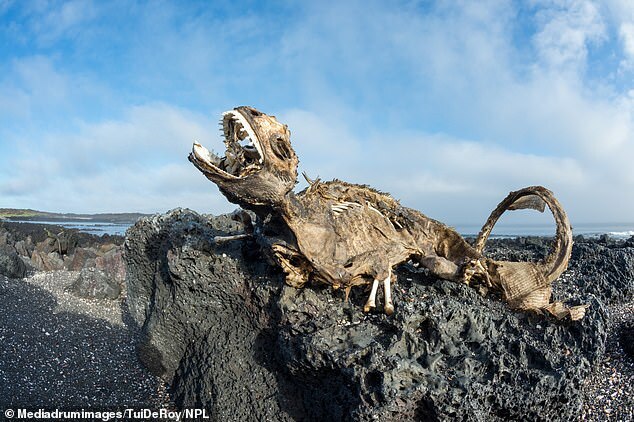 One powerful picture shows the carcass of a sea iguana laying on a rock after starving to death, an effect of warming waters killing the resources they rely on. 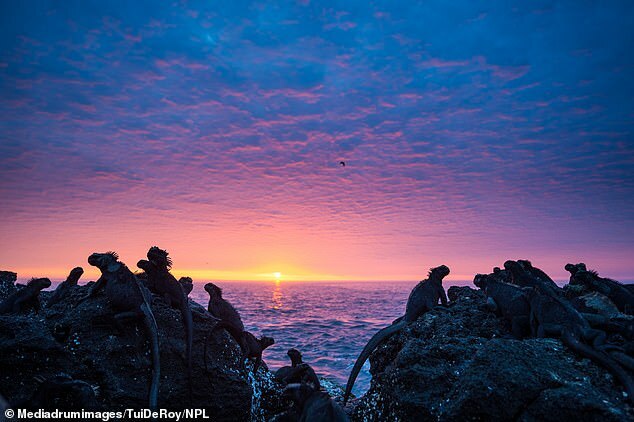 De Roy captured striking images of these creatures to highlight their plight because, she claims, of the sustained period of warm weather, or El Nino. 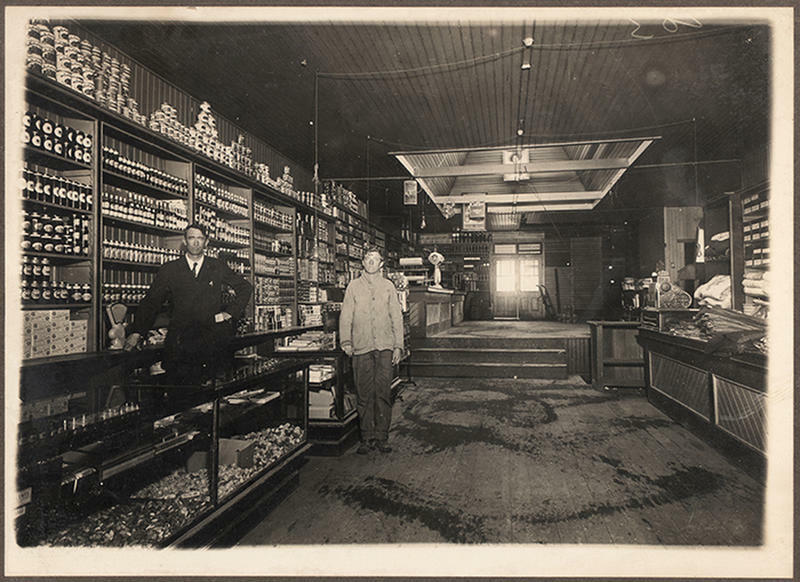 Although it is uncertain how the animals shown perished, Miss De Roy believes that these deaths are a direct result of the sea surface temperature warming. There are claims that climate change is intensifying the El Niño effect - a short-term period of warm ocean surface temperatures in the tropical Pacific, which stretches from South America towards Australia. The change in water temperatures can affect the marine life directly because upwelling, cold water rising to the surface, is reduced during the event. Previous studies have shown that marine species including penguins, seals and iguanas struggle because of lack of food in the near-surface waters. Many Galapagos marine animals die or cannot reproduce successfully due to the lack of food, the researchers wrote. Other images captured on the archipelago include a colourful iguana posing on the rocks and the unusual spectacle of a swimming lizard. The great naturalist Charles Darwin travelled to the region on the HMS Beagle in 1835, and observed them racing around the rocky shores. Despite making extensive observations on the creatures, he famously detested their appearance referring to them as 'imps of darkness'. This time is ripe for Darwin's theory of natural selection to be put to the test as food is becoming ever more scarce. 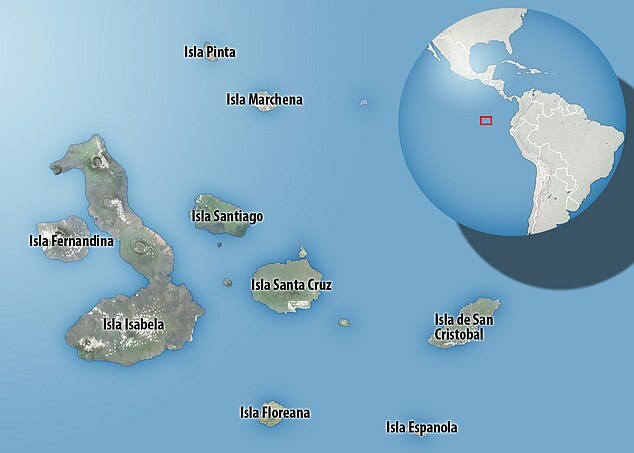 De Roy, who grew up on the islands off the coast of mainland Ecuador. After watching the animals for many years, the naturalist witnessed thousands of them die due to lack of food every time there is a sustained period of warm weather. The vulnerable iguanas have one trick which allows them to survive, she said, which is being able to adjust their body size by shrinking or growing at will. This allows them to better regulate their heat loss. Over a period of months, they break down their bone tissue before building it back up again after the famine is over. 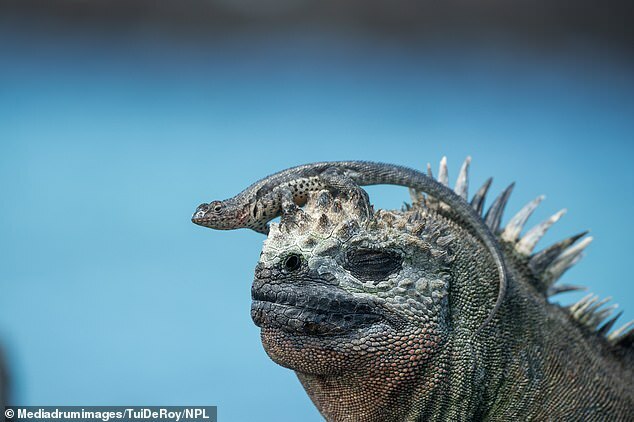 'Marine iguanas live hard lives: all they need is tropical sun to keep warm, black lava to bask on, cold seas full of seaweed to feed on; that's it, no frills,' she explained. 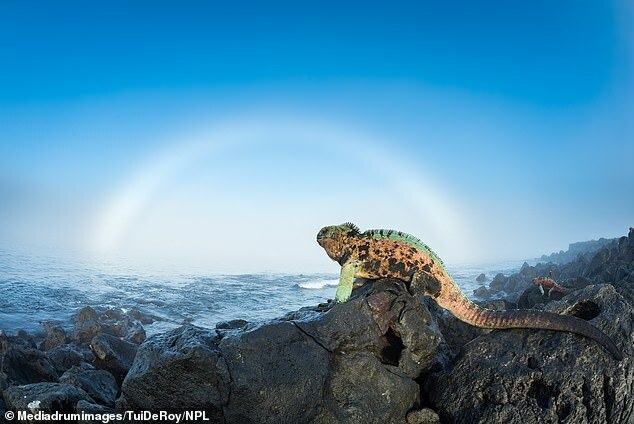 'This makes them the perfect subject to illustrate the otherworldly qualities of the volcanic Galapagos Islands. 'But they are also quite vulnerable: when the cold ocean currents are replaced by warm waters, the seaweed dies, and so do the iguanas. 'They have the ability to shrink their bodies - even their skeleton - by as much as 20 per cent in overall length in order to resist starvation until the cold waters return. 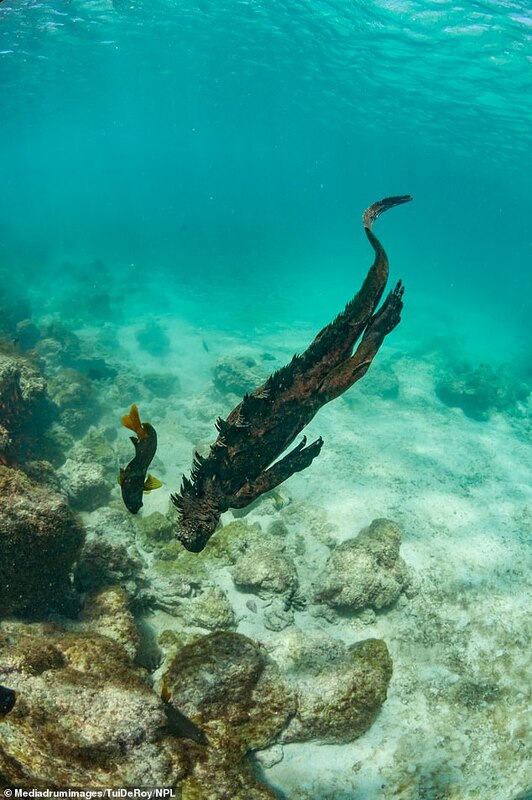 Studies about the lizard found that land-dwelling iguanas from South America must have drifted out to sea millions of years ago on logs or other debris, eventually landing on the Galapagos. Each island hosts marine iguanas of unique size, shape and colour, similar to Darwin's famed hummingbirds. 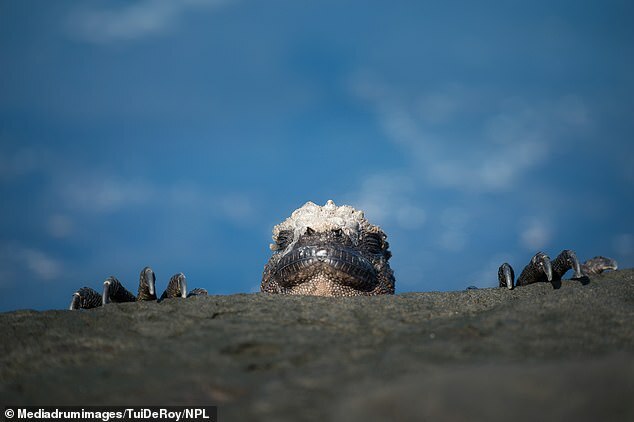 'The biggest threat by far to marine iguanas is climate change, and that's not a problem that can be resolved at local level,' the Ecuadorian photographer said.